It's not so often that I hear a group who is really doing something to set them apart, and when I do, a majority of the time it is simply an annoying novelty. The musical part of the equation ends up being lost to simply being the weirdest (and then calling it the most innovative). 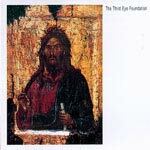 The nice part about Third Eye Foundation (although some listeners may not agree with me), is that it is one of those groups that pushes boundaries without crossing over into the sloppy or annoying sector. The person behind the group (Matt Elliot) is a former member of the band Flying Saucer Attack, and seems to have brought his love of drones and odd sounds across with him to the new group, as well as gone off in a whole new realm. While this second release doesn't seem to be quite as dark as the first full-length Ghost, it still has a lot of the similar qualities that distiguish it from the pack. "An Even Harder Shade Of Dark" pulses along with a fairly normal stutter-beat, but is layered heavily (as with most tracks) with tons of strange heavily-filtered-sounding noises. At the end of the track, it segues into a short instrumental before mixing into the next song. On "I'm Sick And Tired Of Being Sick And Tired," the drum track sounds like something out of U-Ziq or Squarepusher track, but the core of the song is definitely different and spookier. Once again, the songs on the album are a strange blend of dub, noise, experimental, and ambient, with a bit of skittering drums thrown in the mix. Add to it all a wicked sense of humour with word play in the titles, and it's a solid follow-up for one of the more interesting artists on the electronic scene today.